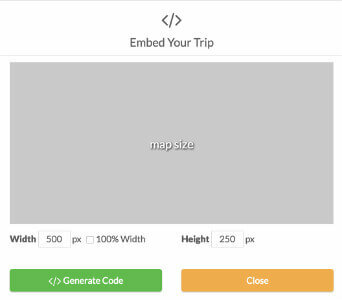 How to Embed a Trip Map on Your Website Easier than Embedding Google Maps! 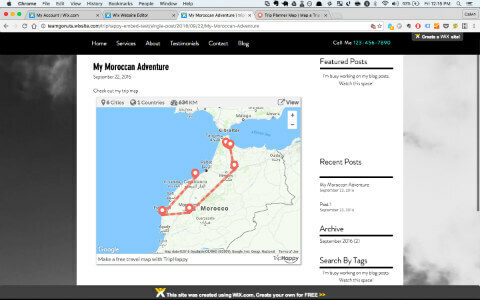 Embedding a trip mapped with TripHappy is a great way to add rich content to your travel blog or website. 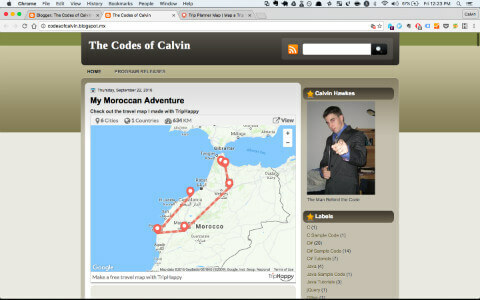 Show your readers where you've traveled and the routes you've taken. 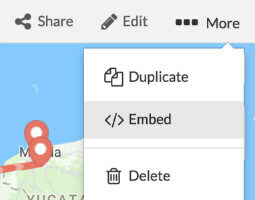 Embed your itinerary directly into your blog posts! 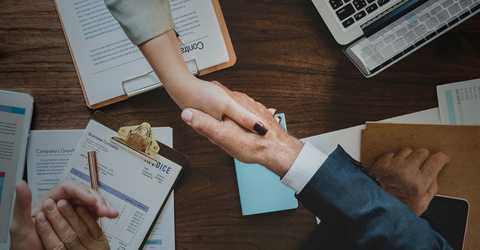 You don't even need an account, but if you do create one there are other ways to promote your blog to our thousands of users. 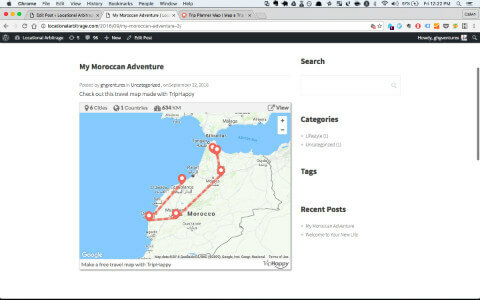 First things first, you have to Map a Trip before you can embed it! Check out our how to guide on creating a trip. 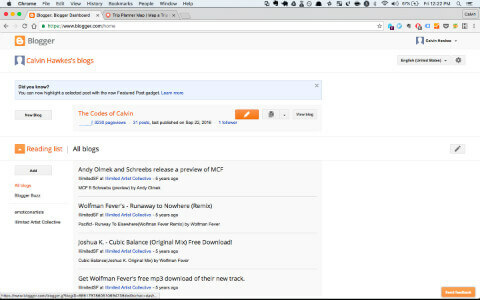 From any trip on our site, not just your own, head over to the upper right corner. 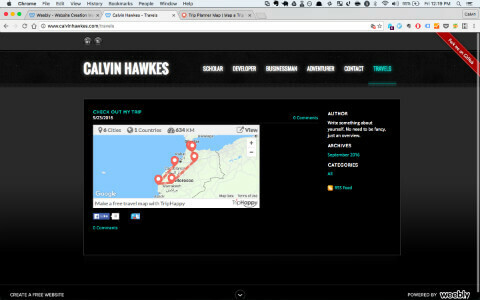 Set the dimensions of the embeddable map as it will appear on your travel blog or website. 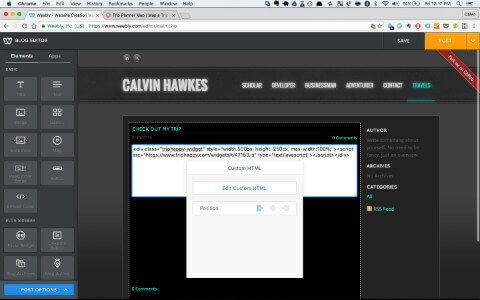 Set the width and height in pixels, or click "100% Width" to have the map fully fit the width of your page. 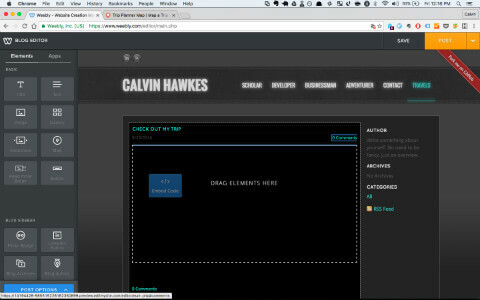 Note that you'll still have to set the height in pixels if you select the 100% width option. 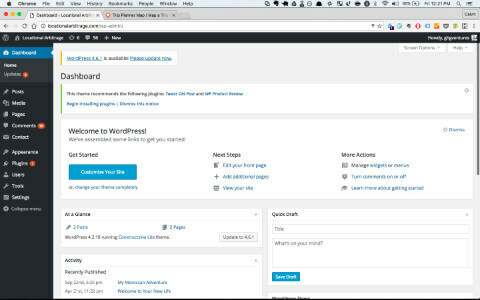 Go to your Wordpress dashboard and either create a new post or edit an existing one. 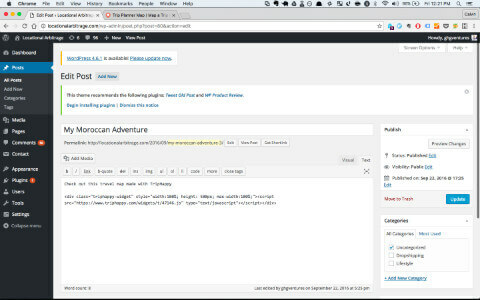 Your map will now be embedded into your blog post. 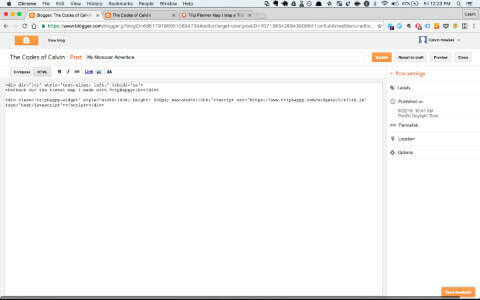 Go to your Blogger homepage and either create a new post or edit an existing one. 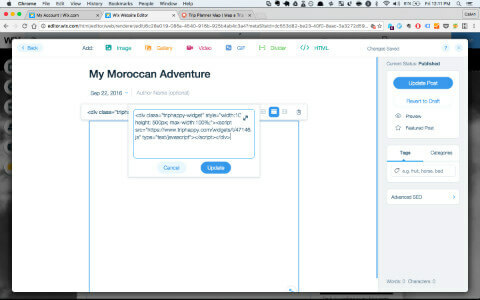 Go to your Weebly blog and either create a blog post or edit an existing one. 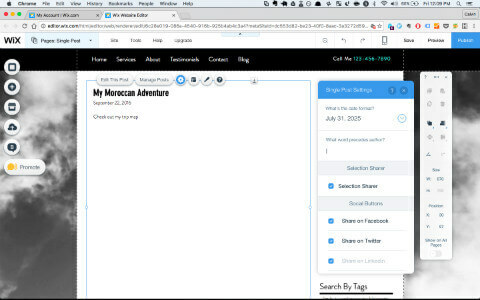 Go to your Wix blog and either create a blog post or edit an existing one. 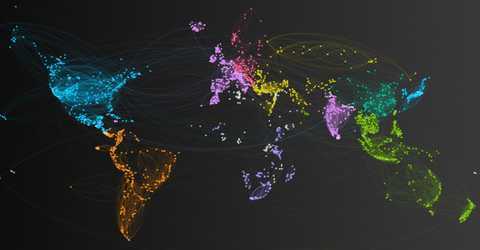 Looking for Other Ways to Promote Your Travel Blog? 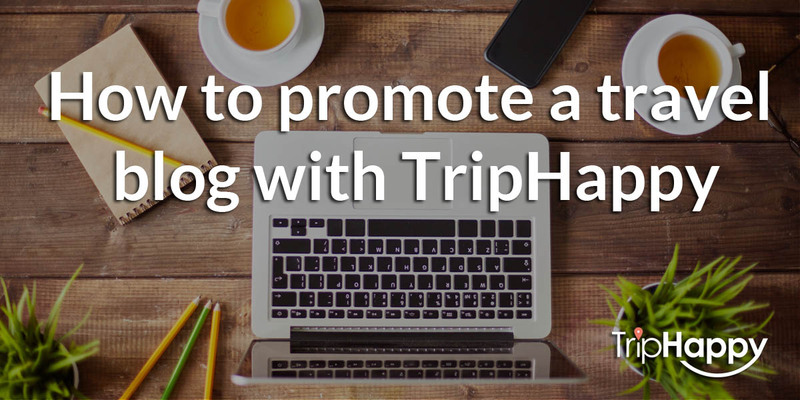 Check out our guide on promoting your blog with TripHappy for more information. 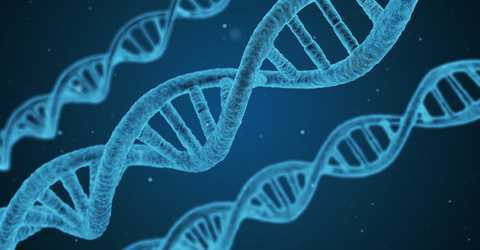 How can I create my trip?